'Celebrity Big Brother' crowns actress Marissa Jaret Winokur first-ever celebrity winner over Ross Mathews! 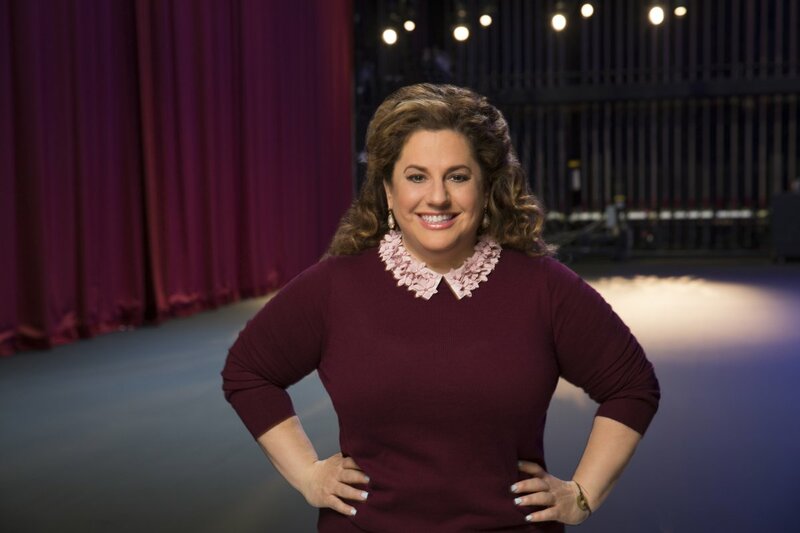 Celebrity Big Brother crowned actress Marissa Jaret Winokur the winner of its inaugural season during Sunday night's two-hour finale broadcast on CBS. Marissa walked away with the $250,000 grand prize thanks to a 6-3 vote. She defeated the show's runner-up, entertainment reporter Ross Mathews, who received 50,000 for finishing in second place. "I feel crazy. I couldn't have gotten this far without Ross. I love you so much. I love my son... and my husband, and this is so much fun! I had to [bring Ross to the end], he was my ride or die!" Marissa, who won the final Head of Household competition and took Ross to the Final 2 with her, told Celebrity Big Brother host Julie Chen following her victory. Ross was also named "America's Favorite Houseguest" over actress Shannon Elizabeth and Big Time Rush singer James Maslow, so he earned an additional $25,000. "I'm sorry about the lying, but it's Big Brother! If you come into this house, you've got to play this game," Ross told his fellow houseguests. Shannon, James, Miss Universe 2015 Ariadna Gutierrez, former The Apprentice contestant and White House staffer Omarosa Manigault, actress Keshia Knight Pulliam, and retired mixed martial artist Chuck Liddell all voted for Marissa to win. The consensus seemed to be that they voted for the more honest and loyal player. But Sugar Ray singer Mark McGrath, former The Real Housewives of Beverly Hills star Brandi Glanville, and former NBA player Metta World Peace voted for Ross to win. The Celebrity Big Brother finale began with five houseguests remaining: Marissa, Ross, Ariadna, Omarosa, and Mark. The episode started where Friday night's broadcast had left off, with the snowy HoH competition in which everyone was trying to keep their balance on skis. When only two guys remained in the competition, Ross told Mark that he could hold on forever and promised not to nominate or backdoor the Sugar Ray singer as long as he was willing to drop first. Mark felt safe with Ross in power, but he also wanted to guarantee his spot in the Final 4. Ross swore to Mark that he would protect him and he just wanted to hear from his mother, who was having health issues, so Mark decided to throw the competition. With Ross as the new HoH, Marissa was thrilled, but Ari wasn't at all since her closest ally, Brandi Glanville, just went home and she felt very alone in the game. As for, Omarosa she wasn't impressed by Ross' victory at all, saying another win had simply been handed to him. Ross told the cameras that his main target was Omarosa. His allegiance belonged to Mark and Marissa, but he could only bring one person to the end with him. Ross therefore said he wanted Mark in the Final 2 because he knew he could beat him. Ross warned Ari that he was going to put her on the chopping block as a pawn and there was nothing he could do about it because he had made a deal with Mark. Ari, however, still swore on her family that if she won the final HoH, she would take him to the Final 2 with her. Ari insisted she'd be true to her word. At the Nomination Ceremony, Ross nominated Ari and Omarosa for eviction, announcing that Omarosa had put him on the block twice and Ari was on the block just because they were running out of people in the house. Omarosa had every intention of fighting hard for the Power of Veto, knowing she was in big trouble. It then became time for the final Power of Veto competition in which the players had to climb across a giant monitor and match tiles featuring headlines of stories with the correct day the events actually happened. The houseguest to match the most tiles in the fastest time would win the PoV. Ross and Marissa both matched eight headlines with their correct days, but Ross ultimately won the Power of Veto with a fast time of five minutes and 42 seconds. Marissa completed the challenge in 12 minutes and 31 seconds. Omarosa pointed out that Ross' victory was exactly why she had been gunning for him in the game, and she hoped everyone finally understood her motive and intentions. At the subsequent Veto Meeting, Ross decided not to use the power of veto to save either Ari or Omarosa. Before the next vote commenced, Ari said in her final speech that she played a very true and honest game, while Omarosa thanked God and her husband and asked the nation to remain united and strong. In a 2-0 unanimous vote, the house voted to evict Omarosa. In her post-eviction interview, Omarosa admitted to Julie, "I can't believe I lasted this long!" She knew that once she took James out of the game, she wouldn't be around for much longer because she'd be viewed as an even more dangerous threat. Omarosa also said she let her light shine in the game and was finally able to show her true colors and authenticity rather than feel the need to play a character or put on a persona, like a tough businesswoman in the boardroom. The Final 4 then competed in the last HoH Competition of the season dubbed "#Hash It Out." The players were required to view six "social-media battles." Each battle featured two previously-evicted houseguests going head-to-head in a text message, exchanging digs and slams about prior game moves, competitions, and more. The houseguests had to determine which evictee texted one incorrect statement during each battle, and every time a player guessed correctly, he or she would receive one point. The person to receive the most points at the end of the competition would become the final Head of Household and be able to evict two players from the house. Ross, Mark and Marissa tied at five points each and were given a tiebreaker question. The answer was a number, and Marissa guessed the closest answer, so she became the new -- and final -- HoH. Afterwards, Mark, Ari and Ross were each able to plead his or her final case before Marissa had to make her decision, and the three houseguests just expressed pride in their friend. Ross had tears in his eyes, repeating, "You did it!" But Ross, slick and clever, also made sure to note to Marissa, "We did it." Marissa said she loved everyone left in the game and had become great friends with everyone, but she thought her choice was an obvious one. Due to her relationship with Ross, she decided to bring him to the Final 2 and evict both Ari and Mark. Marissa explained she wouldn't have made it to the end without Ross, and Mark and Ari both seemed to completely understand her reasoning. In fact, Ari said that Marissa and Ross both deserved to be in the Final 2, and Mark pointed out that they were both "competitive, strategic and tough" when they needed to be. Mark gushed about how thankful he was for the Big Brother experience, saying his journey on the show was worth more than he could even explain -- certainly more than $250,000. "Everything that makes this world amazing was behind those closed doors," Mark said of the BB house, before Ari confessed her time on Big Brother was actually better than competing in Miss Universe. Once the jury gathered together and got a moment to address the Final 2 houseguests, Brandi asked Marissa and Ross what they regretted most about their gameplay. Marissa said it was really hard for her when two friends were on the chopping block at the same time and she had to protect her closest allies, while Ross regretted being "naive" on Day 2 of the game -- meaning he made promises and deals that he couldn't keep as the game progressed. Ross used his Brandi betrayal as the main example. Marissa told Shannon that she deserved to win over Ross because, although they often worked together, she stayed true to her girls while being flexible in necessary situations. Meanwhile, Ross reminded everyone he's a huge Big Brother fan. He said he pivoted and adapted in the game, in addition to winning multiple competitions to survive. Ross also said he was compassionate towards his fellow houseguests, like when he was onboard with voting out Metta World Peace as well as Keshia. In her final statement, Marissa told the jury that she won the final HoH competition and still took Ross to the end -- despite his great game and competition wins -- because she stayed true to their alliance and friendship. And Ross argued that he had two HoH wins and three PoV wins. Ross said he played hard and proved throughout the game he's a champion. 'The Bachelor's Caroline Lunny confronts Arie Luyendyk Jr. on 'The Women Tell All' over season's ending: "I know what you did!"